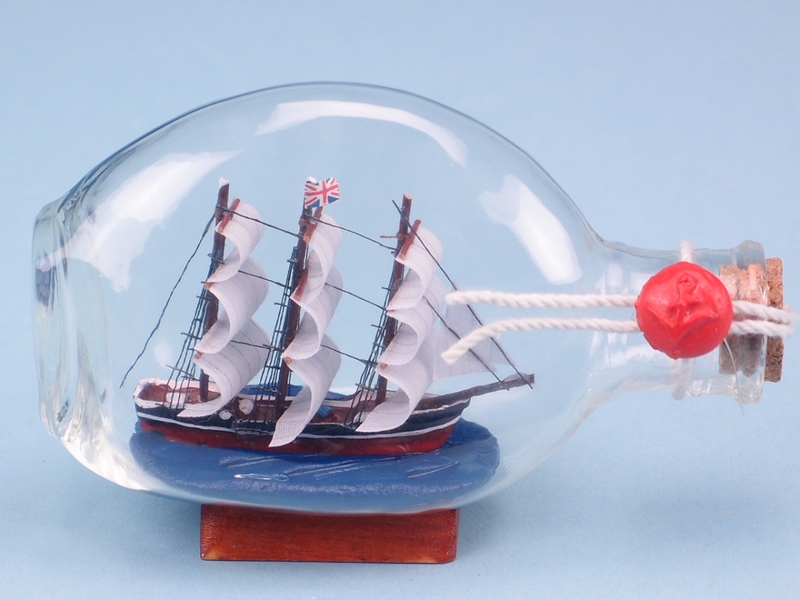 Handmade Wooden Ship in Dimple Bottle. 13cm. 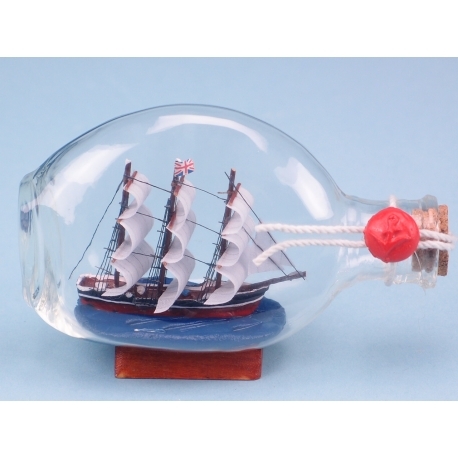 Beautiful handmade wooden ship in Dimple Bottle. Wax sealed and on a wooden stand, it will make a great addition to any room.